Benevolent Societies in the West Indies were first known as Friendly Societies and were set up in the 1800’s as community group gatherings. 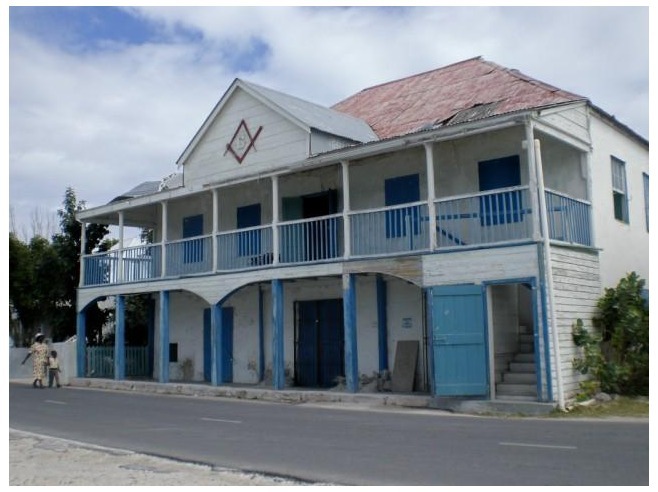 In fact the Benevolent Brotherhood Lodge on Salt Cay has stood on Victoria Street for over 200 years and even though a simple wooden structure had played a significant role in binding the community members together. 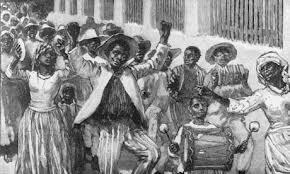 After Emancipation of Slavery in 1834 the formation of Societies and Lodges gained momentum because the sudden move towards freedom by many ex slaves meant finding ways to adjust quickly to social life and all the new found responsibilities. During this post emancipation era, poverty, unemployment and an unorganized labour force characterized the economic climate. 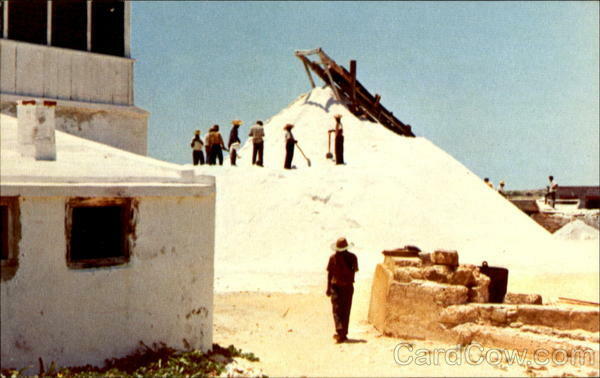 Many of the men on Salt Cay were salt rakers working from sun up to sundown and for very little reward and the Society provided an alternative official meeting place outside of the Church. A feeling of security was established by these Societies and often visiting missionaries hired the hall for preaching and bible sessions. The weekly meetings thus provided structure and facilitated collective decision making in the community with the particular goal of helping the old, infirm and sick in times of hardship and need. Financial aid was also provided for the making of coffins and to pay the burial expenses and when necessary provide financial assistance to family members. Weekly subscription fees were collected and every member was obliged to attend unless they provided a written excuse. 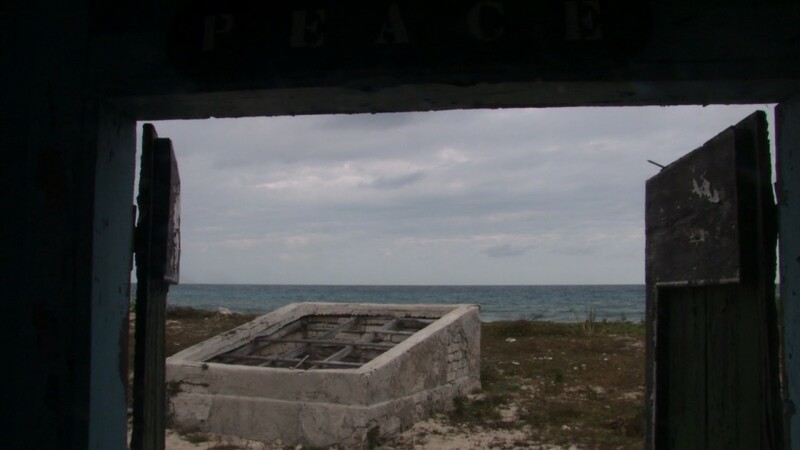 Looking through the old papers on Salt Cay the weekly fee or “dues” as they were called for many years was six pence. If any of the members did not attend they were fined unless written excuses were received. Often paper was scarce so the excuses were carefully addressed on small pieces of paper not much bigger then a postage stamp. In the early 1900’s the cost to build a coffin was 3s 6d (three shillings and sixpence) and a few of the salt rakers doubled as carpenters to build the coffins including Will Simmons, Holton Dickenson and Old Earl Talbot. 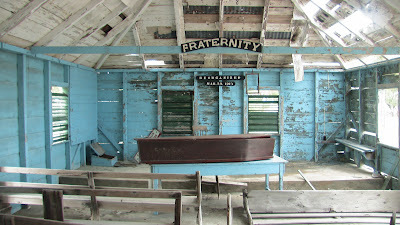 Inside the Benevolent Society on Salt Cay – view from the West window before repairs begun in 2012. The repairs are ongoing and any donations are gratefully accepted. Quite often members abused Rule 8 which stated that members should not arrive to the meeting inebriated. In a couple of the old records it is written that A.Harriott the salt merchant from the White House was often dismissed for drinking. Salt raking next to the White House on Salt Cay. 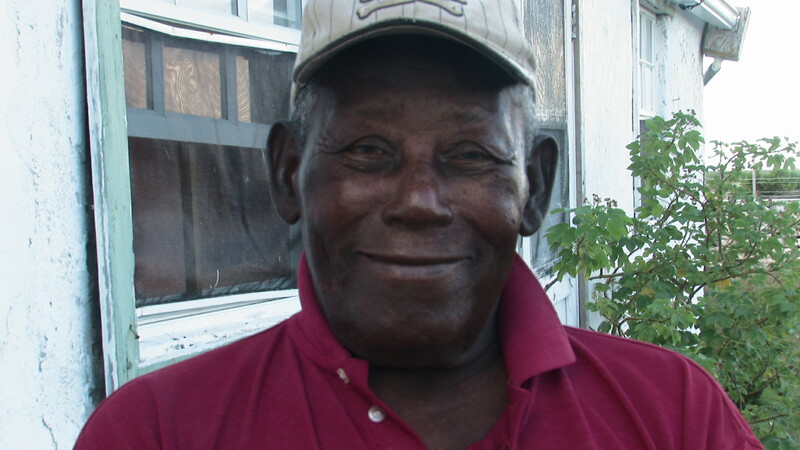 In a sense these records shows that on Salt Cay at least the blacks and whites mingled and that salt merchants were not rich as often supposed because on occasions records show that they also needed funds to assist in burying their dead. Women of ill repute were also not allowed to become members. In fact women were not allowed to participate until 1915 when they were referred to as sisters, counterparts to the brothers. This mixing of gender could indicate a move away from the stringent rules of the Masonic Lodges whose members were always male and often wealthier businessmen. 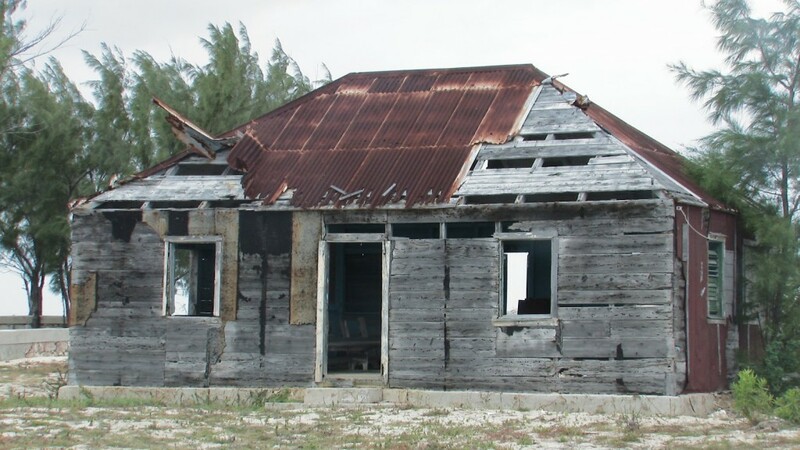 Luckily for Salt Cay and the history of the Turks and Caicos many of the old documents were rescued by a kindly soul just before Hurricane Hanna flooded the old building. However we hope to showcase these papers once the restoration work on the Benevolent Society is completed. Leading the restoration project and also the catechist of the Anglican Church is Mr Holton Dickenson who can remember his early days when he attended the Society and as Secretary had to write all the reports of the 1960s. 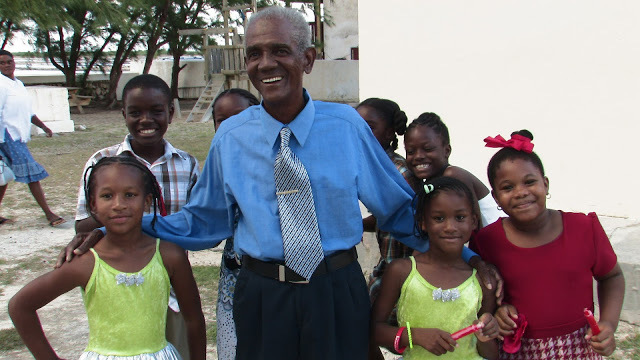 Mr Holton Dickenson catechist of St Johns the Divine on Salt Cay with the children of the community. Amy Smith, Melly Simmons, Rosie Garland and Vida Talbot,were all members in the 1940s and all helped raise funds for the society and Church with their valuable input and wisdom. 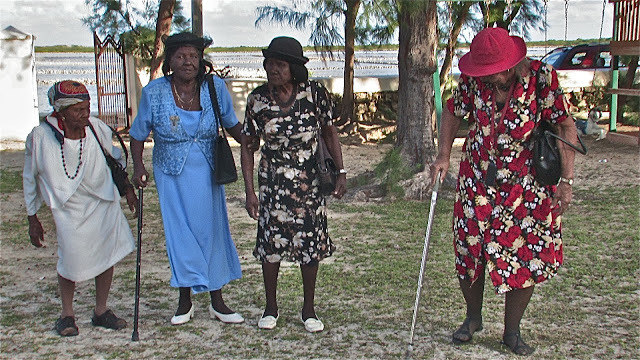 It is with heartfelt appreciation that the community of Salt Cay collectively thanks Ms Helen Krieble for her continued financial support for the repair of the Government House and this year her generous donation to repair the exterior and foundations of the Benevolent Lodge. Ms Krieble hopes that when restoration has been completed, the Lodge can once again be used for community meetings. 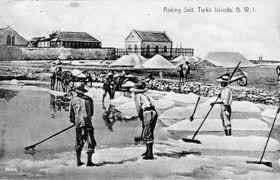 Certainly it will make an interesting tourist attraction adding depth to the salt raking era of the late 1800s onwards”. Restorations of the Government House and Benevolent House are ongoing and any donation would be warmly welcome . 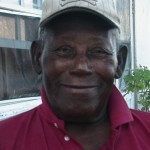 Please read our website to find ways in which you can help.